The Gunners have been given some news on the estimated return date of key defender Hector Bellerin ahead of the clash with Brighton on Wednesday. 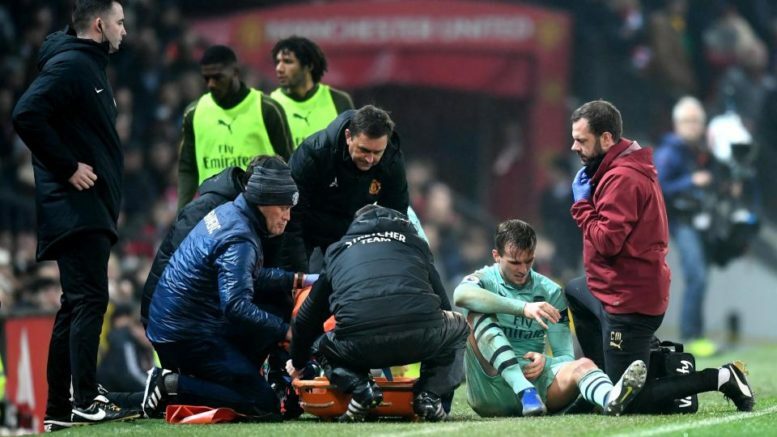 Unai Emery’s men have been troubled by injuries this season even though most fans expected that situation to change, following the departure of Arsene Wenger back in May this year. Heading into last Saturday’s clash with Burnley, several players were ruled out of action as Emery was forced to make a host of changes to his starting eleven. One of the players who were not able to feature over the weekend was Hector Bellerin, after recently being ruled out of action due to an injury blow. The Spanish defender has been a regular name in the team for Arsenal this season and according to a new update from the club’s medical staff, he is only a fortnight away from a return. Be the first to comment on "Good news: Arsenal receive news on highly rated defender ahead of Brighton"